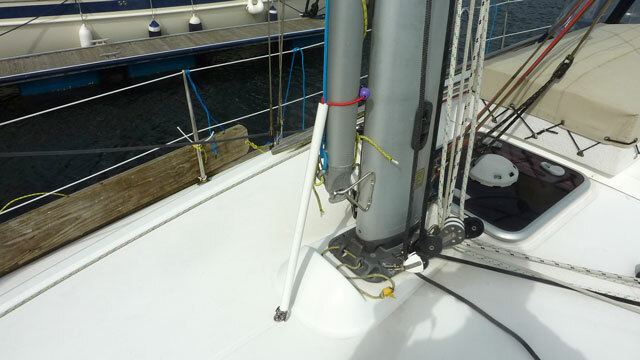 Back in 2009 I fitted a spinnaker pole and track to the front of the mast of my Jeanneau 36i Albatross. Now, five years and more than 8,000 nautical miles later, I think I have at last perfected a way of stopping the genoa sheets from snagging around the lower end of the pole each time we tack. 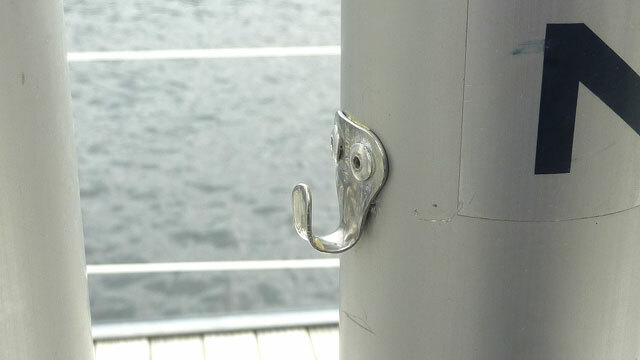 Rigging hook riveted on to spinnaker pole. 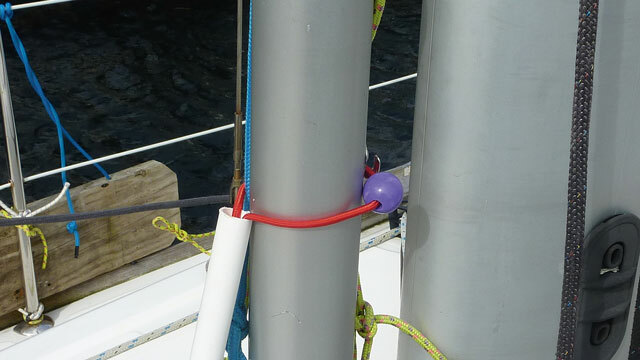 The plastic pipe is held in place (preventing the genoa sheets from catching on the spinnaker pole) by the bungee, which is looped over the bottom end of the spinnaker pole. 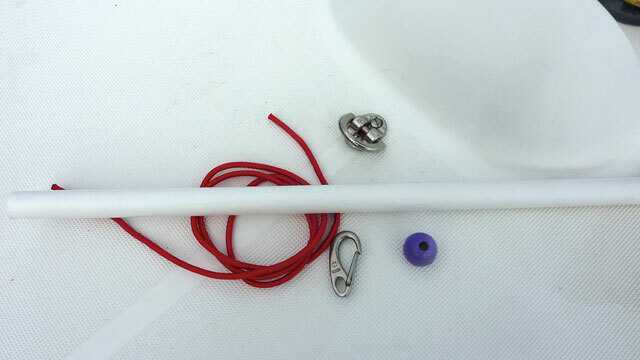 The plastic ball stops the bungee from disappearing down the plastic tube when the pipe is not attached and the rigging hook stops the bungee from sliding down the pole. The clip is attached to the pad eye on the deck and this secures the lower end of the pipe. 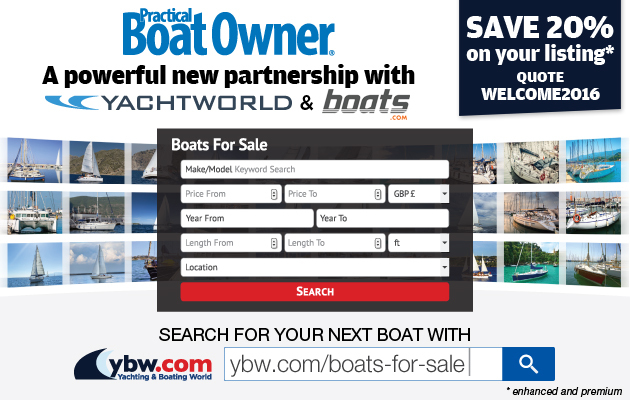 Once fitted, it reliably prevents the genoa sheets from snagging on the lower end of the spinnaker pole when we tack. 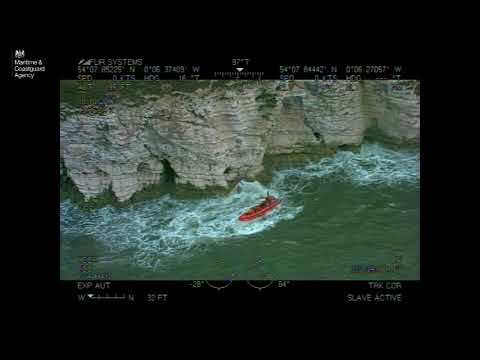 It’s quick and easy to remove when the spinnaker pole is being used.